Ladakh has always been a on every traveller’s bucket list, and if you are a runner at heart, then you are in for a treat. The trail might not be an easy one, but it surely is a scenic run passing through the cold deserts and quaint villages. 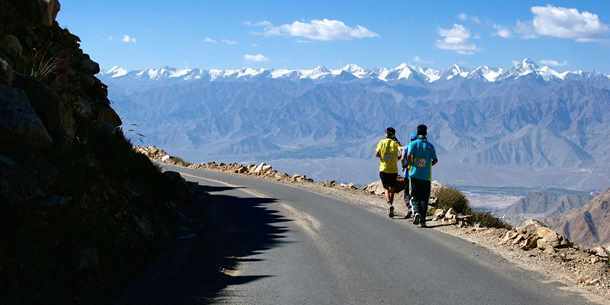 There are four categories - 7K, half, full, and the ultimate Khardung La challenge of 72 kms. From breathlessness to breathtaking views, this marathon offers everything. 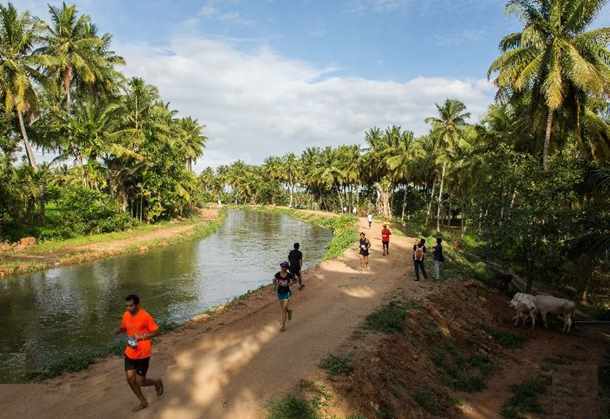 A perfect example of a cross-country run, Kaveri Trail Marathon passes through verdant fields, canals, muddy paths and waterfalls. If you are a wildlife enthusiast, you might get distracted by birds you see during your run, as starting point of the race is just next to the Ranganathittu bird sanctuary. Race categories offered are full, half and 10k. As Milind Soman puts it, “Pinkathon is not just a marathon, it is the seed of change. It is the beginning of a movement carried forward by a growing community of empowered women across India, who share a belief that a healthy family, a healthy nation and a healthy world begins with empowered women.” Pinkathon is a women’s only marathon that mainly supports the cause of breast cancer among many others. Pinkathon happens across India in cities like Guwahati, Delhi, Pune, Chennai, Mumbai, Bangalore and Hyderabad. Race categories offered are 10k and 5k. Whether you run or not, Standard Chartered Mumbai Marathon is one marathon that brings entire Mumbai on the streets, either running or helping the road runners with water and energy munchies. 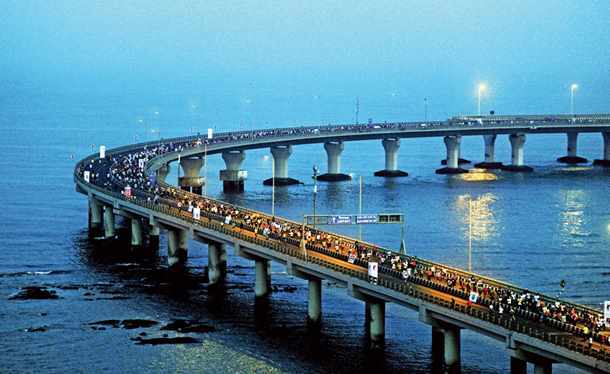 The best part of the marathon is that it is the only time of year when the Bandra Worli Sealink is open for pedestrians; it’s an amazing feeling running on the sealink and watching the breathtaking Mumbai skyline from there. Race categories offered are full, half, 10k and 6k. My dear ladies, one reason - Milind Soman! When face of the marathon is so enticing, do we need any other reason? 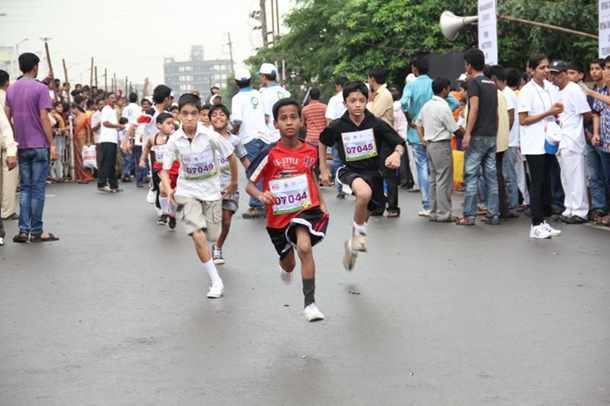 Jokes apart, the Vasai Virar Mayor’s Marathon is considered one of the best marathons held in Mumbai. With energetic supporters and alluring cash prizes, VVMM is a must-do on every runner’s list. Race categories offered are full, half and 11k. The longest race in India, it is set over the rough and tough White Desert, Rann of Kutch. From the terrain to the weather, nothing about it can be taken for granted. The race originates in Dholavira which was once a hub for Indus Valley Civilization. The Ultra Marathon requires to be completed in 3 days, where the runners will pass the ancient ruins of Dholavira and trail the endless white expanse. This run offers two Ultra categories 161 kms, 101 kms and one 51 kms. Two things that Satara is famous for - Kaas plateau and Satara Hill Marathon. The famous hill marathon created a Guiness World Record in the year 2015 for the largest number of people running on a single mountain. While this has upped the glamour factor of Satara Hill Marathon, it has had humble beginnings. 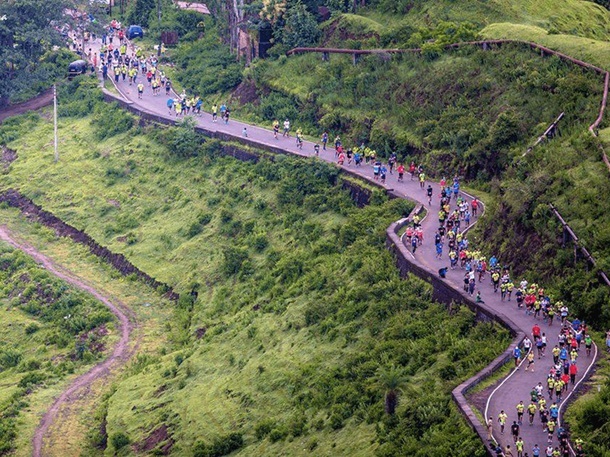 A scenic trail that runs through the hills of Western Ghats, the Satara Hill Marathon is not for the faint-hearted. Race categories offered are half and 3.5k. 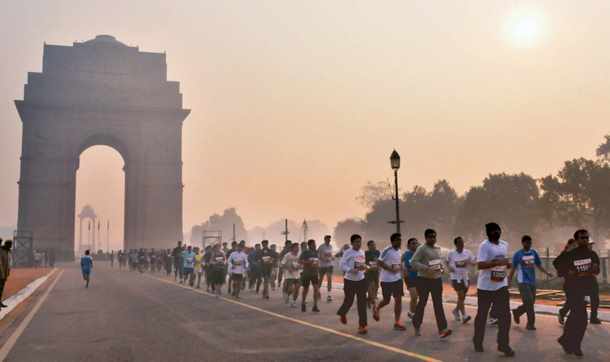 The most famous marathon in Delhi, ADHM was envisioned only after SCMM’s success in Mumbai. The route is mostly flat and it is great to deliver your personal best timings as well. Race categories offered are half and 6k. This is for people who are looking for something beyond running, because it is ‘India’s Biggest, Baddest, & Muddiest Obstacle Run’. Although the race debuted early in 2016, it got very popular because of its intimidating and tough challenges. 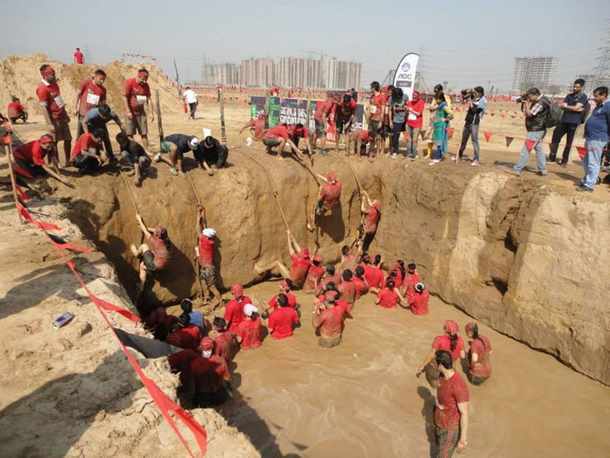 Although the ‘Devil’s Circuit’ is only 5km long, the obstacles are nothing less than a boot camp that can give you a brain freeze! Here are some running groups: Mumbai Road Runners, Pune Running, Bangalore Runners, Delhi Runners Group, Chennai Runners, Hyderabad Runners. Whether you are a newbie or a seasoned runner, you must join the most happening running groups in your city. From expert tips to running buddies, you'll find everything that a runner wants.